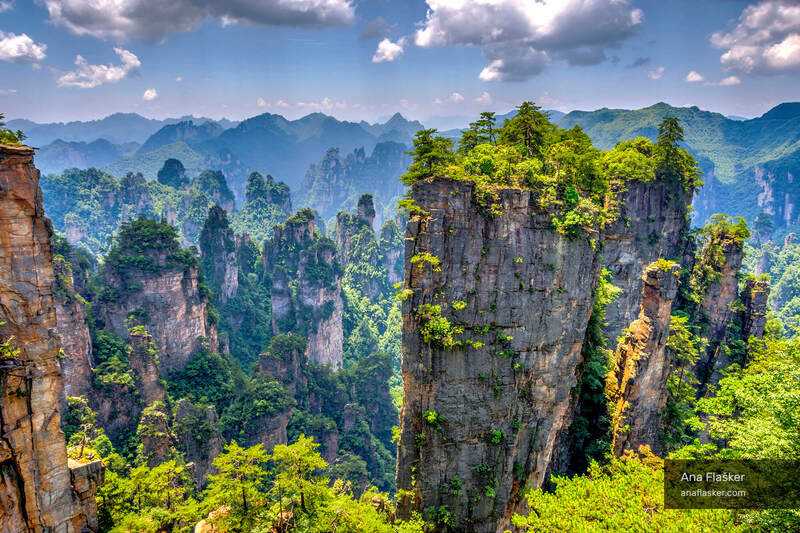 Famous scenic karst pillars, also known as “Avatar mountains” in Zhangjiajie Natural Forest Park. There are more than 3000 pillars and some reaching over 800 meters. And yes, you can walk up to some of them.